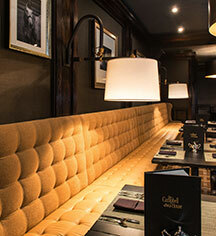 Experience delicious southern dining and finish the meal with a famous bread pudding in the heart of Lexington, Kentucky at Kilbern's Restaurant at The Campbell House Curio, A Collection by Hilton. Sunday to Saturday, 6:30 a.m. – 2:00 p.m. | 5:00 p.m. – 9:00 p.m. 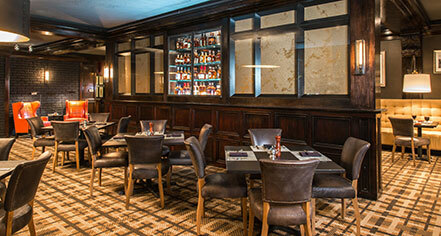 Sample delicious cocktails and appetizers, discover Kentucky bourbons, and enjoy live music at Bogart's Lounge. Sunday to Thursday, 4:00 p.m. – 11:00 p.m.
Friday & Saturday, 4:00 p.m. – 1:00 a.m.